Note: Appandora now has been officially renamed Syncios. Why we need Appandora Free App Installer? Do you have an iPhone, iPad or iPod device and want to transfer apps between these iDevices? Would you like to batch install, uninstall or backup apps within a few seconds? 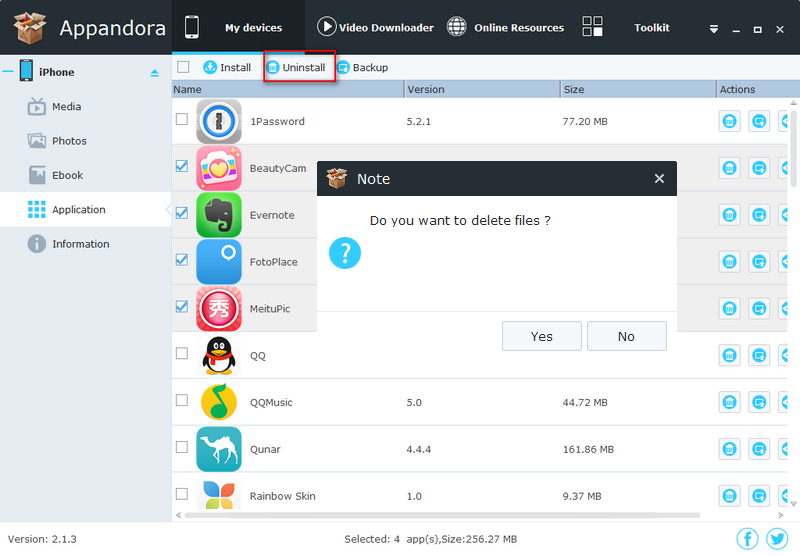 Here with Appandora Free App Installer, you can easily install and manage app files for your iPhone/iPad/iPod, or even transfer those apps between your iDevice and PC freely. In addition to downloading apps directly to your iOS device using the App Store app, you can download apps from the App Store to your computer and add them to your iPod touch, iPhone, or iPad via Appandora Free App Installer, which is the best free App installer program. It is specially designed for Apple users to install their favorite apps to iPhone/iPad/iPod with fast processing speed, simple operation and perfect compatibility. You can also install the local application files into your iDevice, uninstall any application or back them up from your iOS device to PC. Now you could free download this App Installer program on your computer to have a try. Want to install and manage apps for your iDevices freely? 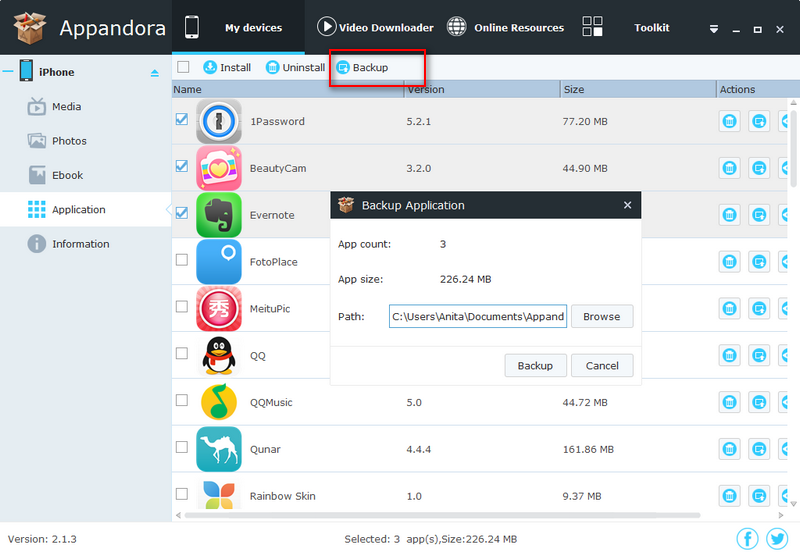 Here the following is a brief guide on how to use Appandora Free App Installer to install and manage apps for your iPhone, iPad and iPod. You can download apps from the App Store to your computer and add them to your iPod touch, iPhone, or iPad via Appandora Free App Installer. Step 1. Download the iPad/iPhone/iPod apps you need from iTunes. Launch iTunes and download the apps you need. Are you wondering about the location as where iTunes saves the Apps and data, downloaded and installed by you on your Apple devices like iPhone, iPod Touch or iPad? The apps setup (.ipa files) can act as a good backup or in case you just need them. 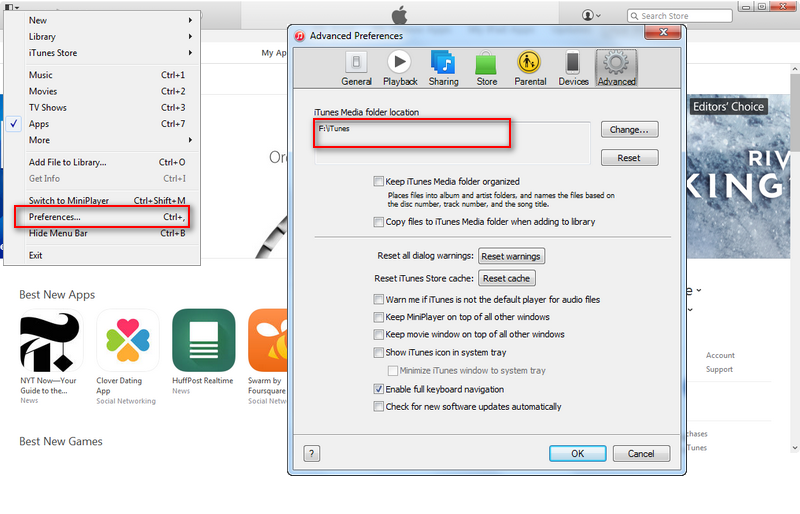 To find the application location, please simply click iTunes > Preferences > Advanced to get your iTunes Media folder location. Then you can find a Mobile Applications folder under the location. For example F:\iTunes\Mobile Applications, from where you could find the downloaded apps for iPad/iPhone/iPod. Step 2. Connect your iPad/iPhone/iPod to Appandora Free App Installer. Download and install Appandora to your PC. Connect your iPhone/iPad/iPod to PC with USB cable and launch Appandora Free App Installer. 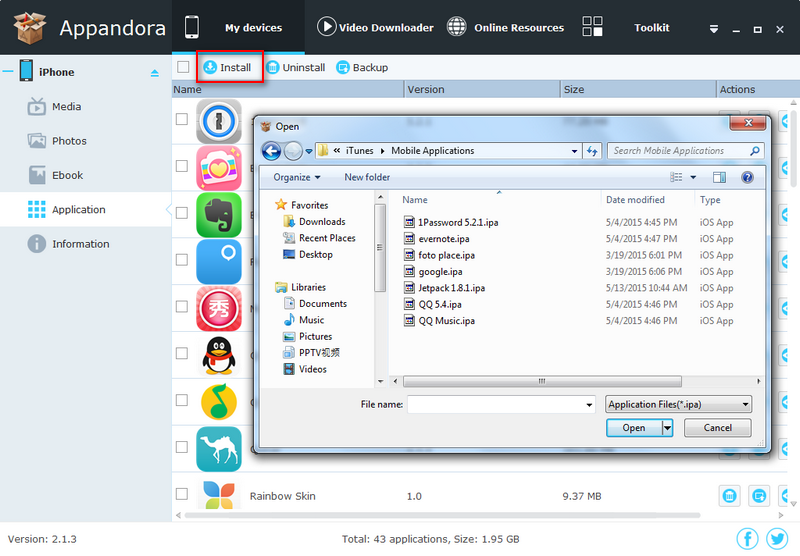 Step 3.Go to the left panel of Appandora App Installer, unfold Application tab and the main window would display all apps has been installed in your iPhone/iPad/iPod. Simply click the Install button and choose the *.ipa file on your computer. Now you can start install downloaded apps for your iDevice. You can also simply backup the apps from iPad/iPhone/iPod to PC and then install the apps to another Apple device. Select the apps you need and click the Bakcup button. Want to manage and uninstall batch apps at one time? Select the apps you no longer need and click the Uninstall button.